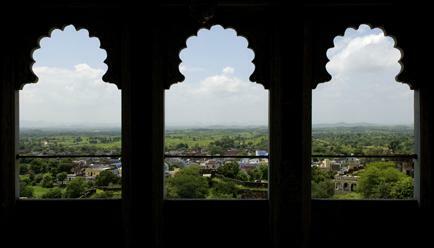 Situated in the beautiful city of Mewar in Rajasthan, Karni Fort is an embodiment of elegance and exclusivity. Just 45 kilometres away from Maharana Pratap Airport, the hotel holds great popularity amongst tourists who are looking for a royal vacation! The hotel presents you with a wide range of services with the motto to ensure that all the guests at the hotel get a convenient and holistic stay. Talking about a comfortable stay, the rooms are comfortable and cosy with handpicked furniture and fully functional air conditioners. 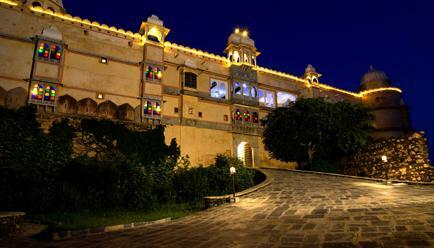 Outside the hotel, you’ll find numerous tourist attractions such as museum, palaces, gardens, monuments and festivals. So, all in all, an adventurous trip awaits you! If you’re one of the adventurous and percipient travellers, then this vacation is a must for you! 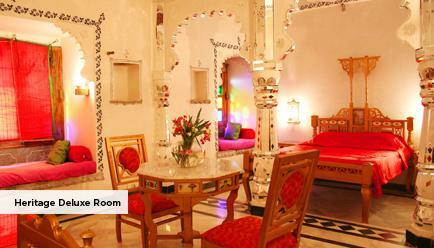 This vacation will enrich you with the past and present of Rajput – its hospitality, comfort and palatable cuisines. 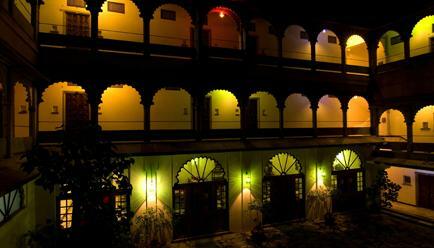 The hotel has always strived to maintain its ambience, along with offering modern comforts and conveniences. What excites the most is the process of conservation and restoration the property is built on. 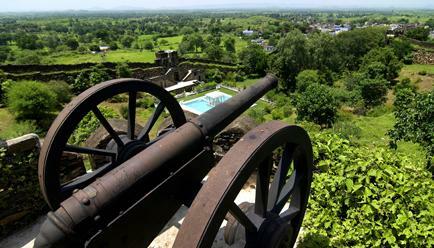 The owners took up the challenge to convert the fort into an immaculate hotel. Nothing can match the royalty and serenity this location has to offer! 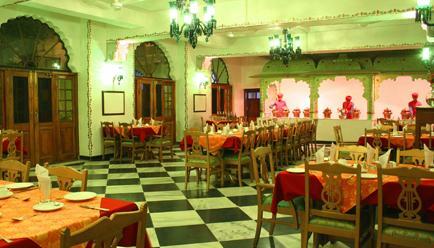 A perfect mix of old charm and modern facilities, you’ll experience the best of both worlds at a single place! There are a lot of tourist attractions around the property that you can dwell in. Temples, forts, museums, gardens, to name a few! The Property – A stay like never before! At just a stone’s throw away from the airport, the property is the most ideal location for those who are looking for a timeout from their daily hustle and bustle! 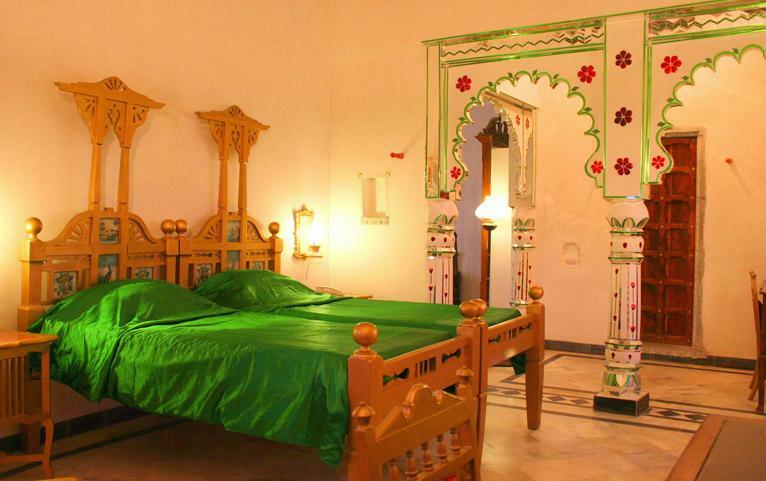 Karni Fort comes with 30 rooms, 10 suites and 20 deluxe rooms, with each room have distinct features and identity. 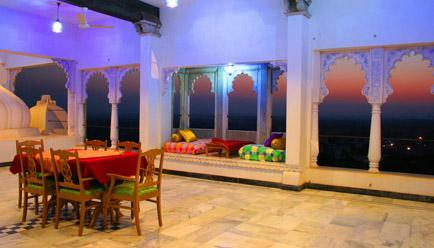 You can enjoy romantic meals in the attached balconies – a novel experience indeed! All that you look for in a perfect room, Heritage Deluxe rooms have all of it! These rooms are comfortable and cosy and built with care and warmth. 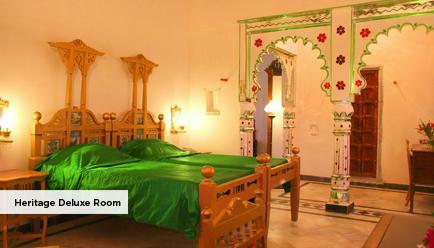 The facilities these rooms provide are modern and friendly. From a doctor on call to room services, everything is taken care of! Extra Guest Policy: Where applicable, an extra adult can stay at a surcharge of INR 2240 per room per night, with an extra bed and the inclusions available in the package, payable directly at the resort. Child Policy: A child (aged between 0-5 years) may stay free of charge. 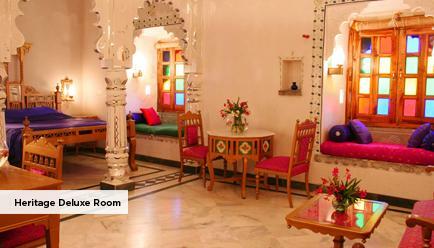 Where applicable, a child aged between 6-12 years may stay at a surcharge of INR 2240 per room per night, which includes an extra bed and the inclusions available in the package, payable directly to the resort. 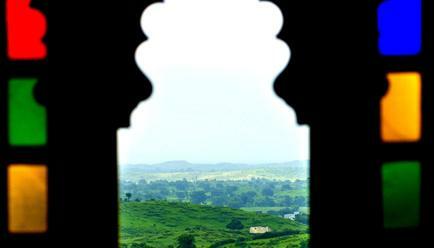 Ayurvedic Oil massage: Dwell in serenity with Ayurvedic Oil massage, a signature at Karni fort. Free Wi-Fi: Stay connected with your special ones while on vacation with your free Wi-Fi service! Laundry: We make sure you look as refreshing as your vacation! 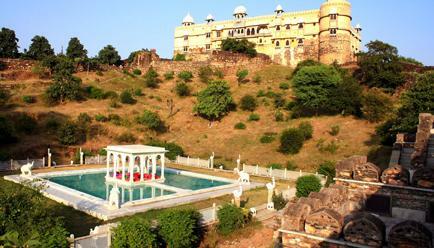 Flights to Udaipur is available from all the major cities of India. Resort is 40 kms drive from the Airport. 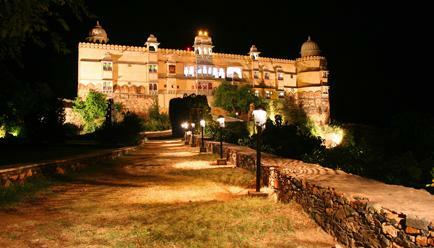 Udaipur is just a 5-hour ride from Ahmedabad via NH48; a 12-hour ride from Delhi via NH48 and NH58. 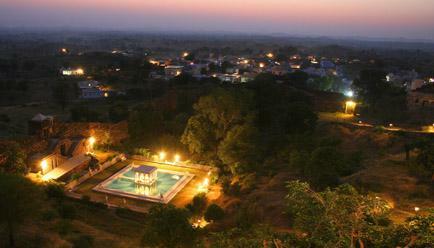 The resort is 1 hour drive from Udaipur. Train to Udaipur railway station is available from all major cities in India. From the station, the location is at a distance of 56 kilometres.